We believe that you should not sacrifice personal service just because you are online! Personally dealing with passionate wine savvy professionals greatly enhances your wine buying success. You receive topline individual service and quickly obtain information/ advice/recommendations regarding your wine requirements. Here are three ways to do so. Simply give us a call at 800.434.9463. During normal business hours we will gladly answer all your questions over the phone or fill out the form below and we will contact you back within a few hours. 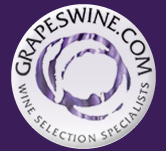 Either way you will get Grapeswine’s Unique Personalized Service for all your wine needs.